I am so excited that Laptop Lunches sponsored me to choose one of their lunch boxes for review. I went for the Bento Lunch Box 2.0 in Primary color. 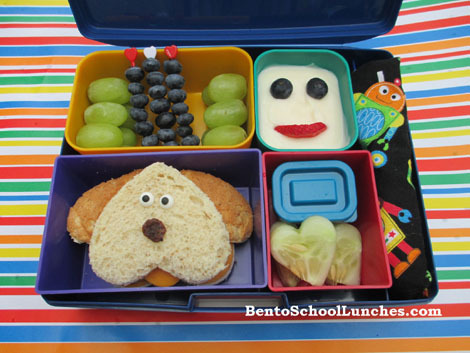 This bento box is easy to pack and the bento buddies can be arranged in many different ways, using one container or all depending on what you decided to pack. I also love the idea that everything fits in perfectly when you use their containers. I have even tried using N's drink bottle and it fits in the space where one of the other containers would otherwise go. 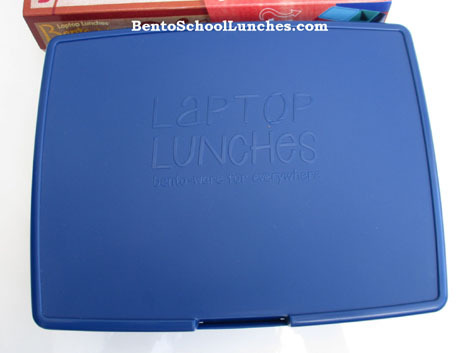 Laptop Lunches boxes are BPA, phthalates and PVC free, reusable, waste free and the food containers are made in the USA. 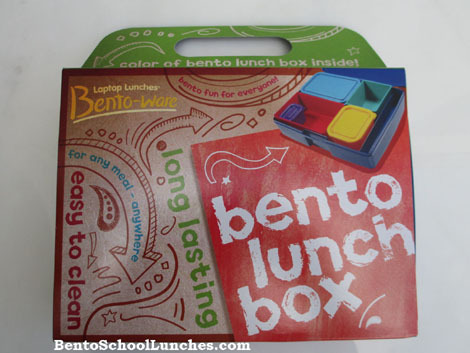 The quality of the bento lunch boxes is great and I am sure they will grow with my child. We will be using them for many years to come and I plan to purchase a set for my hubby to use especially during his travels. Laptop Lunches look awesome for any age or gender and will make great gifts ( I am already thinking Christmas)!!! In this bento: Clockwise from top left - Seedless green grapes and blueberriey kebabs, yogurt with blueberry eyes and strawberry smile, heart shaped cucumber slices with ranch dip, puppy sandwich that I made with heart shaped cutters for face and ears, candy eyes, raisin nose and colby tongue. On the far right is a spoon rolled in napkin. Below are photos when I first received the Laptop Bento Box. Disclosure: Laptop Lunches generously provided me with the items for review without cost to me. Other than receiving the products, I have not received any compensation to write this review. This is just perfect Rina! I love the sandwich puppy idea and want the robot napkin so bad! (You already know how I love the cute fruit kebabs you make! ^.^) I was afraid that the laptop box was huge for a kid ...but you showed me how it can work just fine! I bought two laptop boxes last year for myself and for backing my hubby's lunch; they're amazing! I love the compartments and the little set of silverware...even got a water bottle for his drink. He looks pretty slick taking it to the office. (I think! )I haven't used it for myself but plan to one of these days! Anyways wonderful job and sorry for the crazy long comment!! The dog is so cute! :D Very good Idea! And the Box is perfect I think. A very good system. Midori, thank you! :) I can't wait for N to try it out during his lunch time today and tell me all about it when he gets home this afternoon!